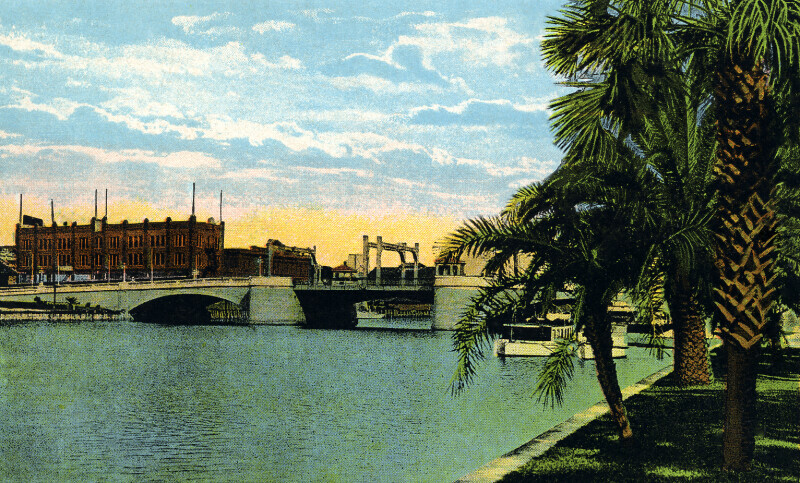 The Bostains Hotel is visible, beyond the Lafayette Street Bridge. It is a large brick building. There is no traffic on the bridge, but a couple boats can be seen on the Hillsborough River.